there’s a Twogether is Better celebration happening right now at Knott’s Berry Farm! 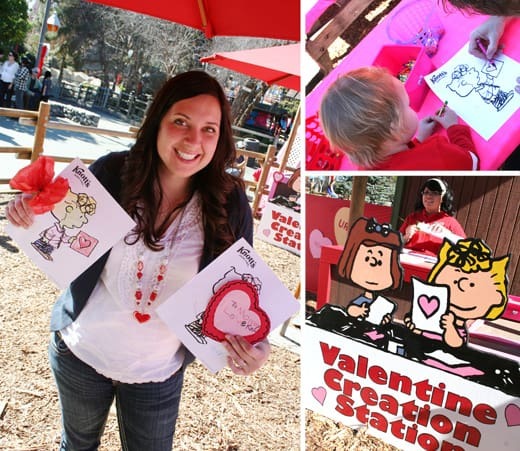 from february 1st-28th, Knott’s Berry Farm will be celebrating the season of love with special events for families, teens and kids. with special pricing when you bring a friend! 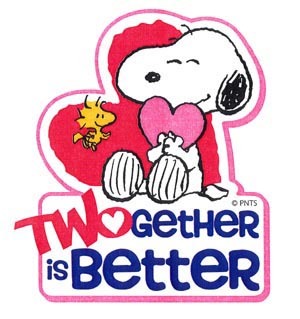 because…Twogether is Better! 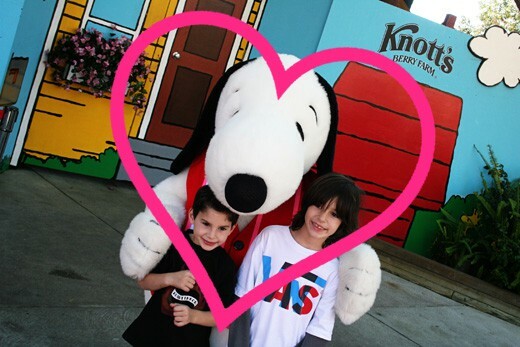 last weekend our family headed back to Knott’s Berry Farm to celebrate the season of love. Knott’s has quickly become our favorite place to celebrate each holiday. 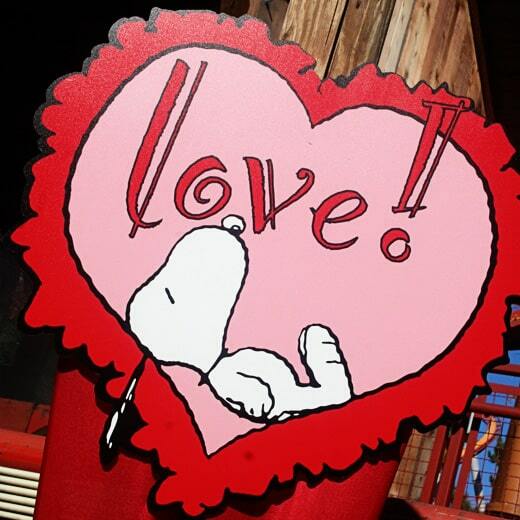 and with this month being february, there is no better place to celebrate Valentine’s Day than at Knott’s. as i went through our pictures from our day at Knott’s, i could do nothing but smile. the kiddies were so happy you could see the joy on their faces. 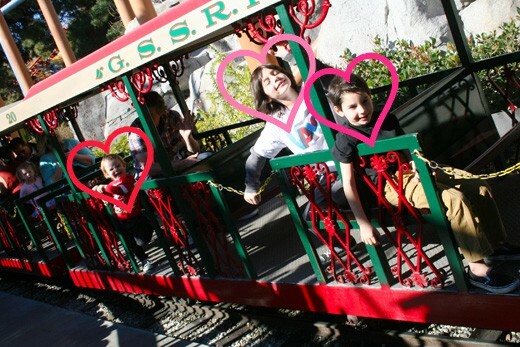 and there was lots of love at Knott’s! we got some Snoopy love. 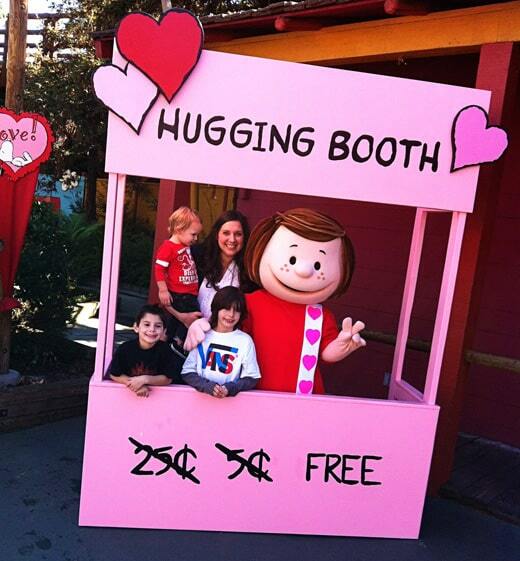 some Peppermint Patti love in the hugging booth. 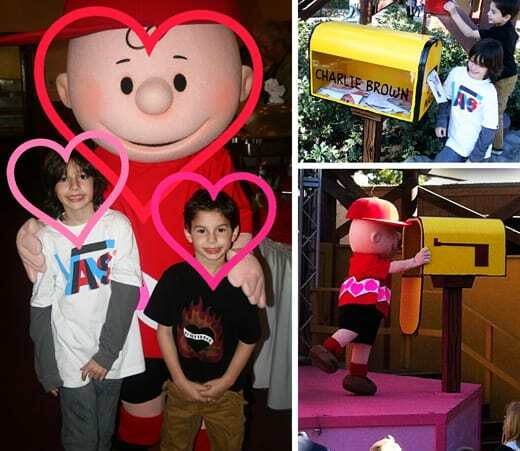 and the boys wanted to make sure Charlie Brown got some love. 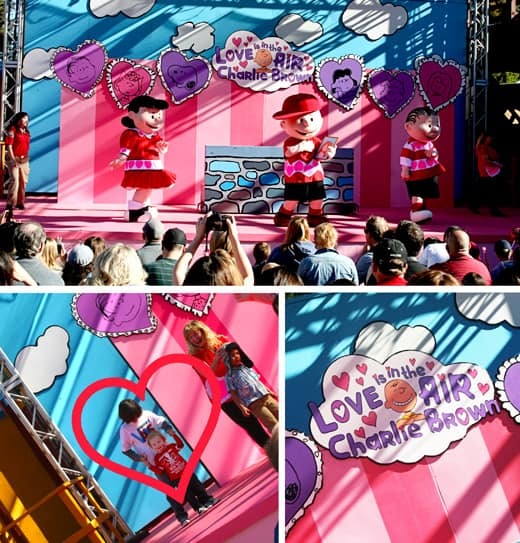 the “Love is in the Air, Charlie Brown” show was super cute. and the kiddies got to go up on stage and dance with the Peanuts Gang…. 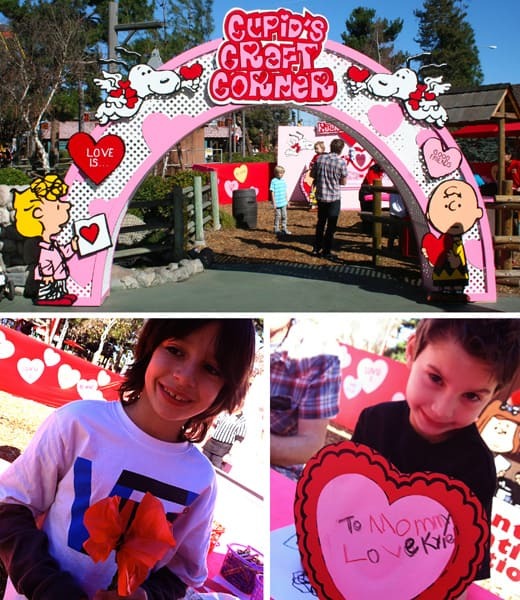 mommy got some love when the boys made me valentines at Cupid’s Craft Corner in Camp Snoopy. 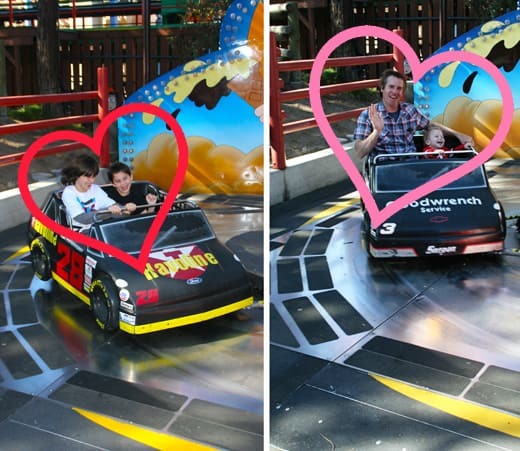 and of course we love the rides. we went on all our favorites. plus, almost no lines! 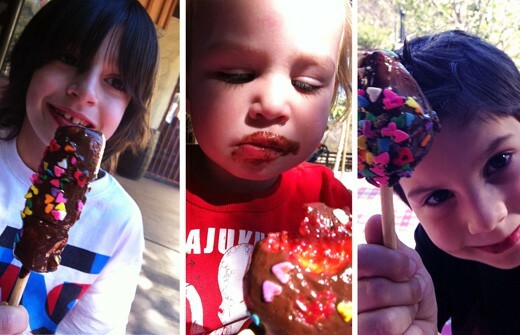 to end the day, we headed over to the Calico Bakery and made some chocolate dipped yummies. thank you Knott’s for such a wonderful day filled with love. we ♥ you! if you are looking for fun way to celebrate february, the month of love with your family….where should you go? where else but “Knott’s Berry Farm”! it’s affordable fun for the whole family. Twogether is Better ticket special! bring a friend for only $24.99! season passes for 2012 are only $64.99 for the year, with no blackout dates. everyone gets in for only $29.99! for more information about Knott’s, visit www.knotts.com. and following @Knotts on twitter.